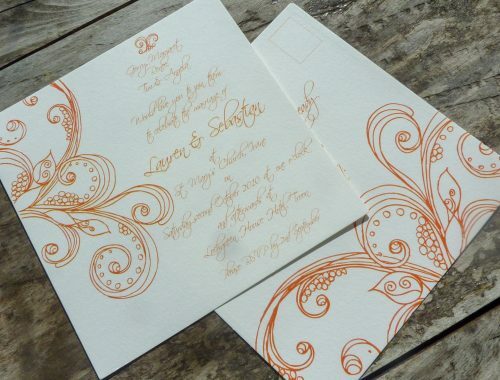 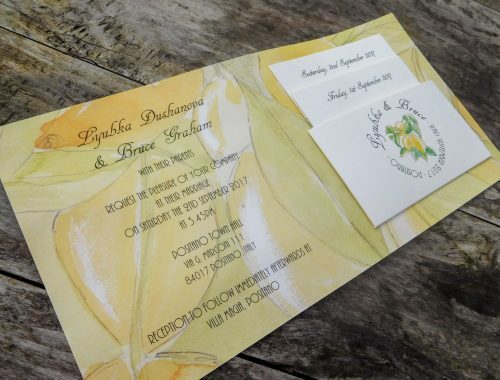 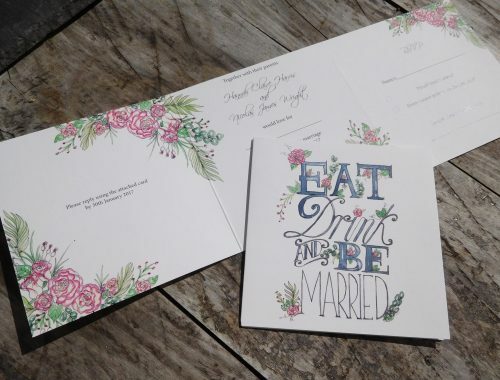 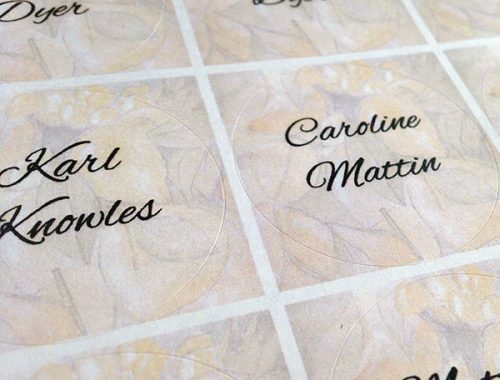 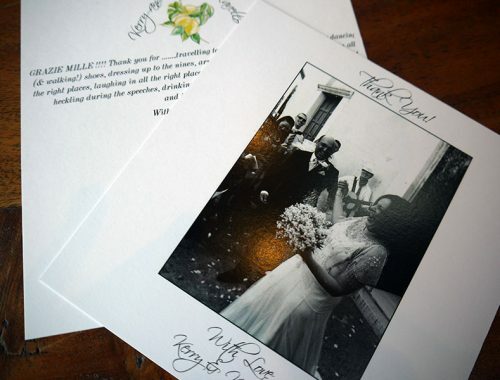 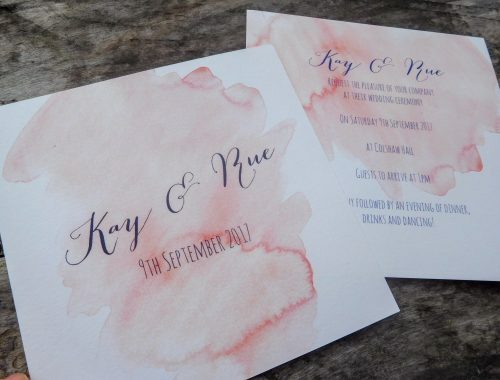 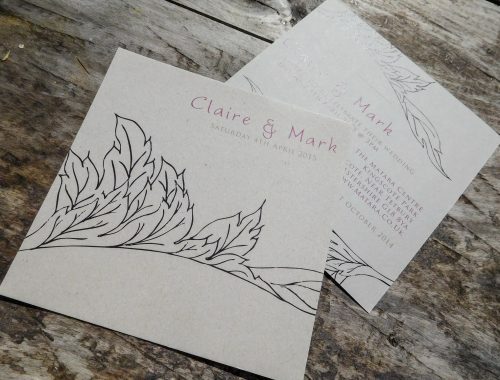 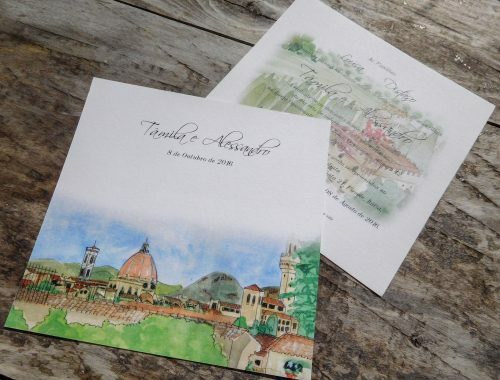 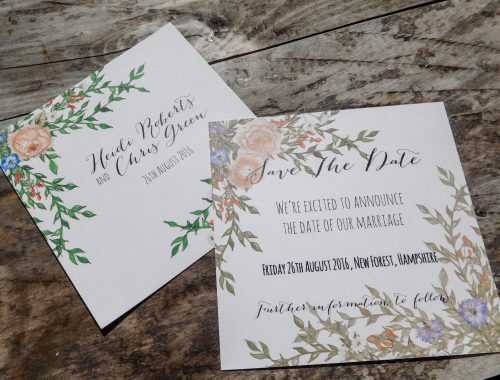 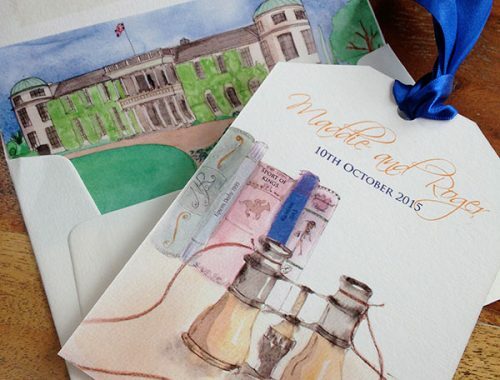 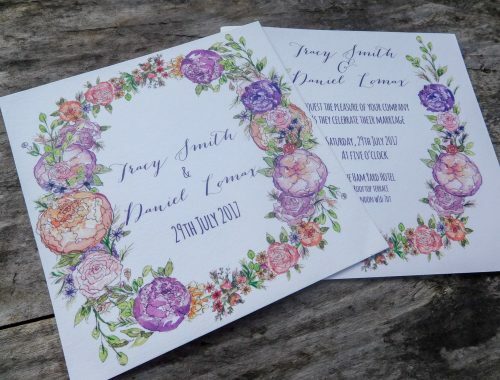 Papermonkeys offer an extensive variety of wedding invitation styles. 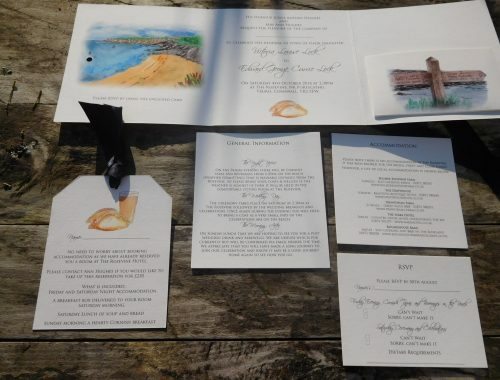 Ranging from flat card Invites through to Pocketfold Invitations. 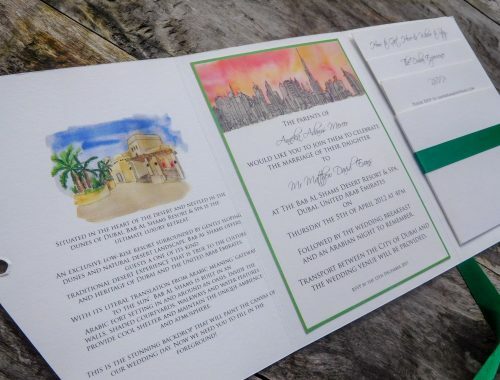 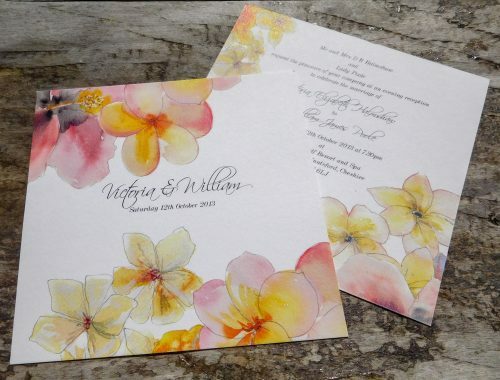 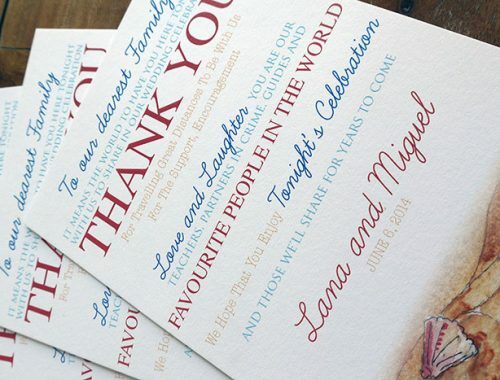 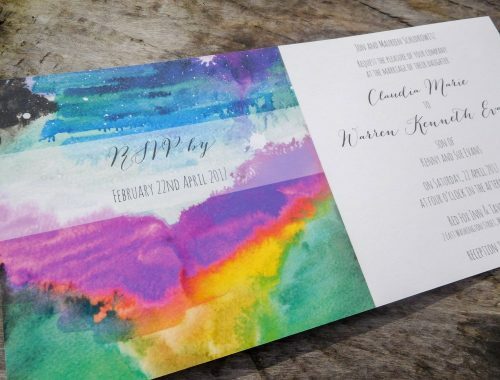 Decide on the invitation style that you need and then tell us what design you would like printed on it. 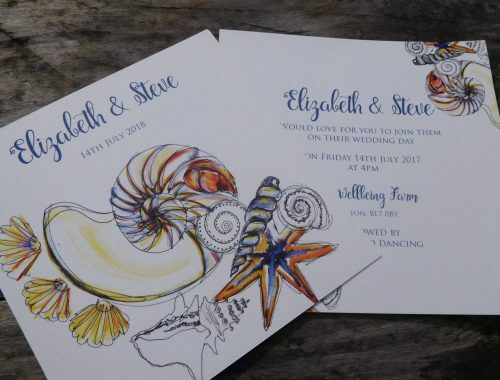 Great value for large weddings. 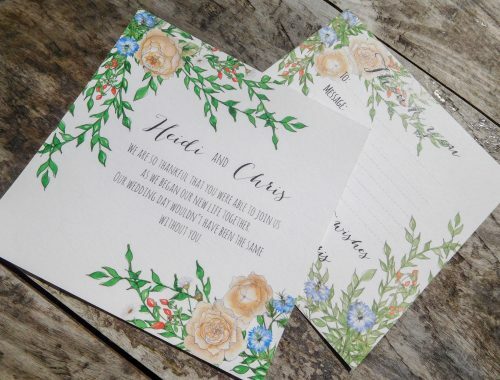 Ideal for Evening Invites. 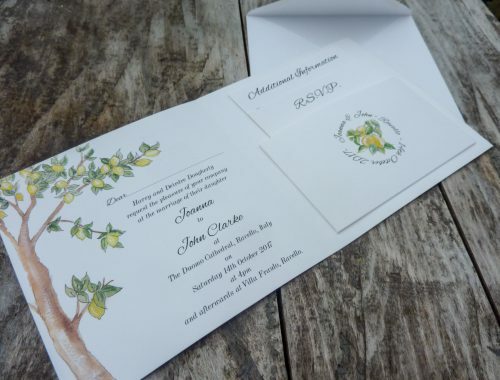 Can be supplied in various sizes. 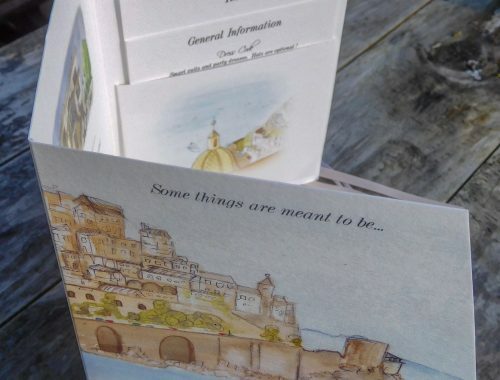 Choose from Square Card, Post Card Style even a design it as a Boarding Card! 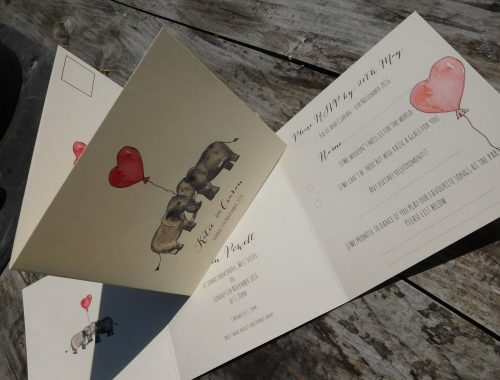 Printable on 4 sides, this card offers lots of space to add lots of information about your big day. 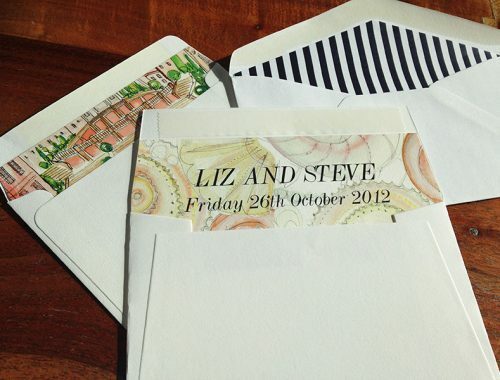 Fully Customisable. 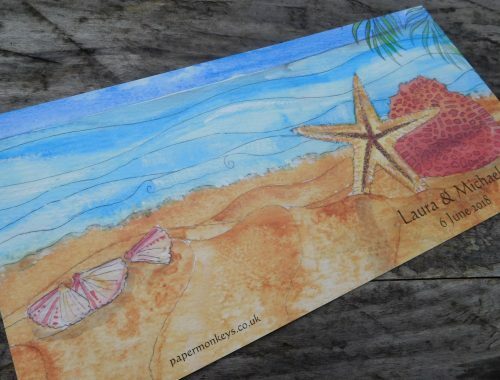 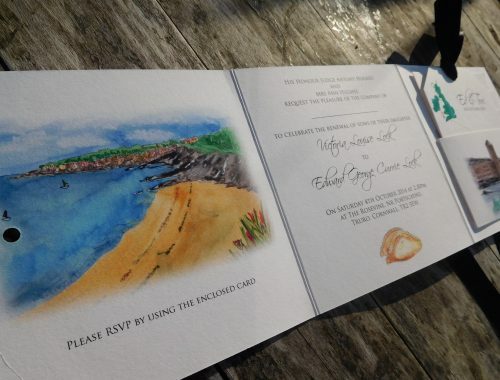 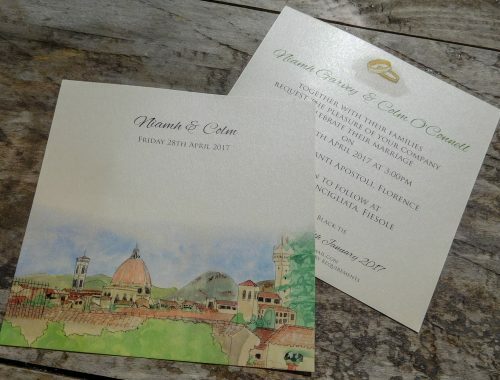 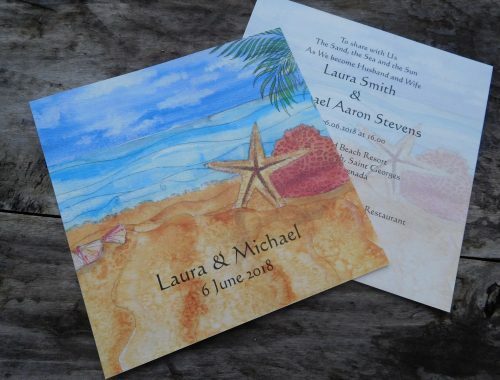 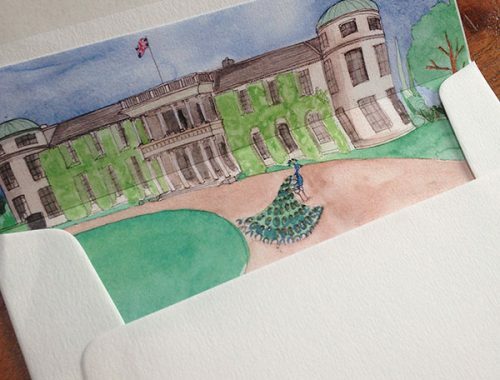 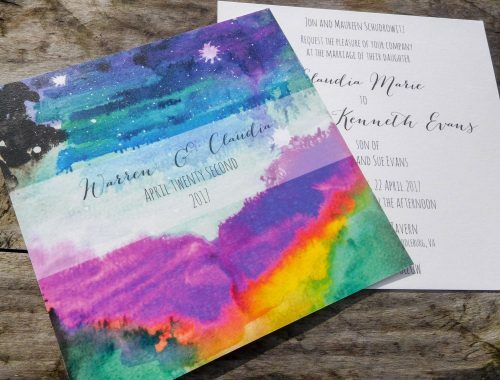 Add a commissioned artwork to your invite. 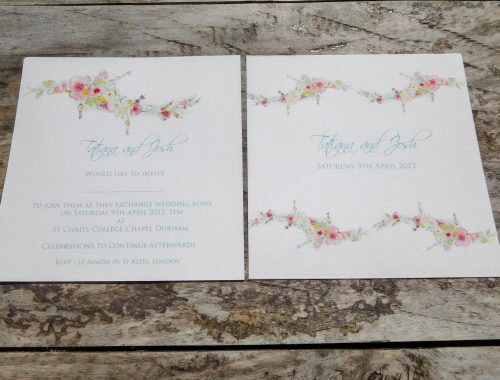 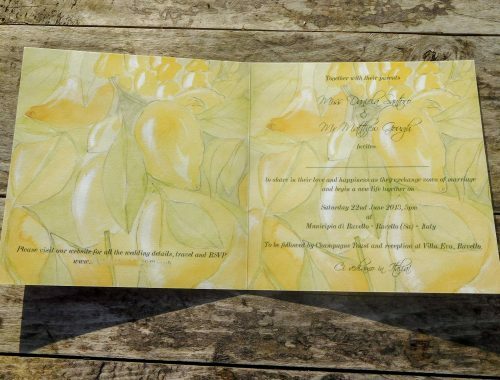 Tri-fold Wedding Invitations are a great alternative to the Classic Folded Invitation. 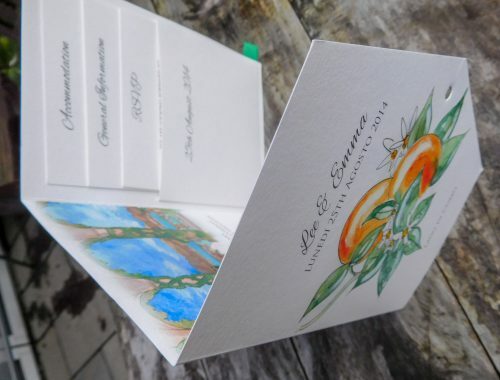 It is only slightly more expensive but offers 50% more card area for Printing of additional information and artwork. 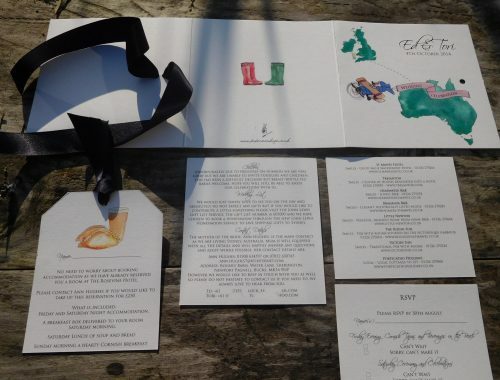 The original opening wedding invitation with an added pocket to give your guests a little more information! 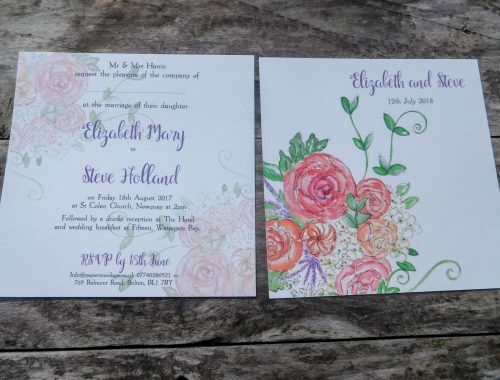 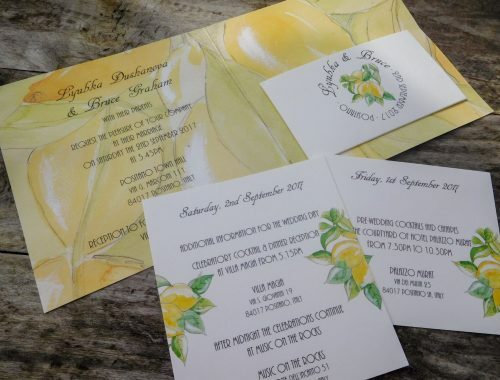 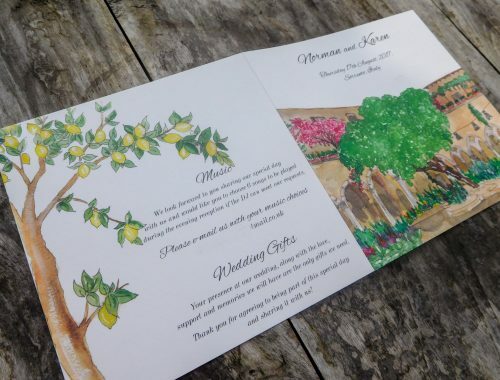 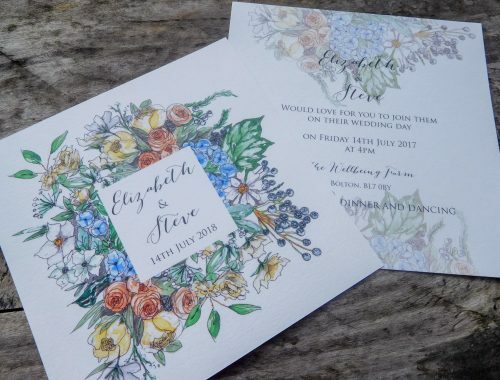 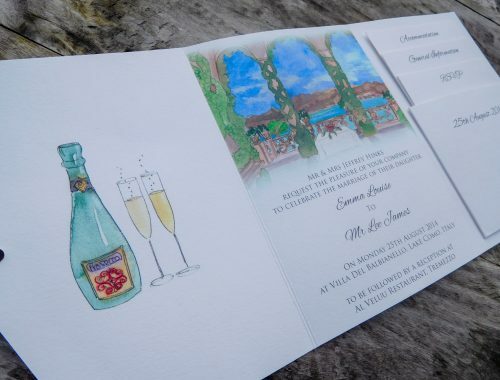 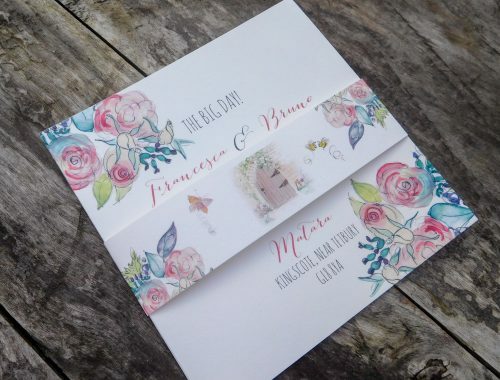 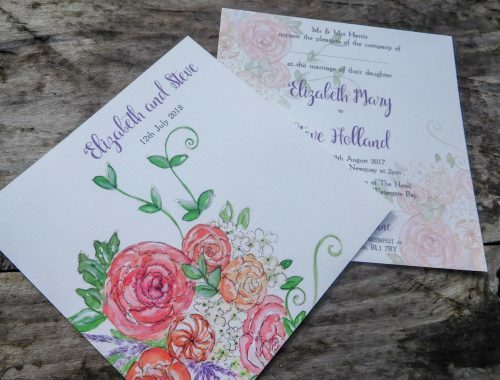 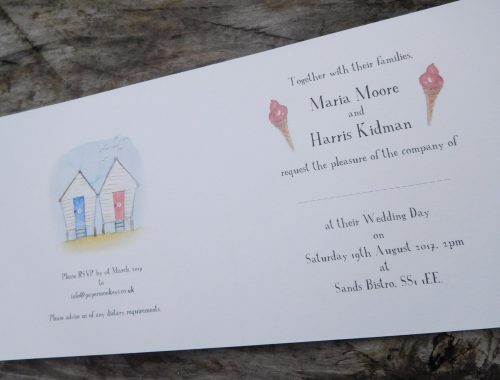 The main invite is printed on two sides, the pocket can also be printed, in addition the two insert cards can be printed on both sides offering extensive space to add lots of information about your big day. 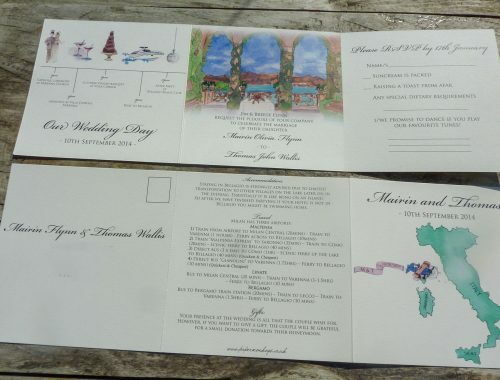 Perfect for for big events, Weddings Aboard etc. 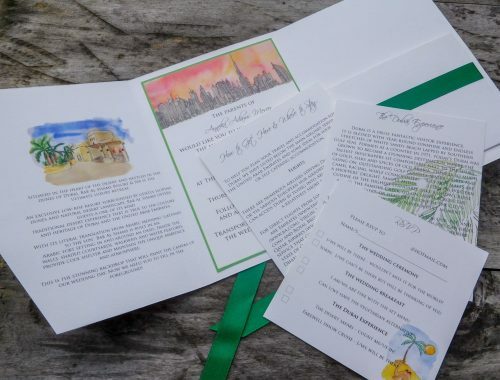 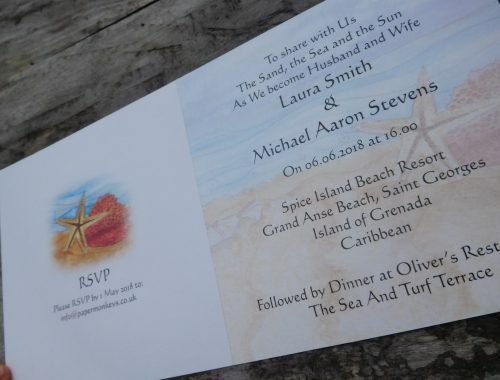 Pocketfold Invitations contain a pocket on the inside of the card, which can carry additional cards that will contain additional information for your wedding. 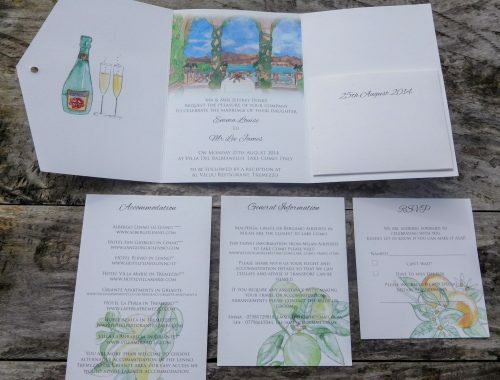 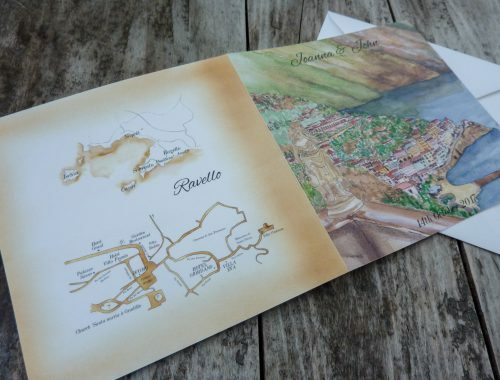 Typically travel information, accommodation options, a menu selection, a gift list and RSVP card. 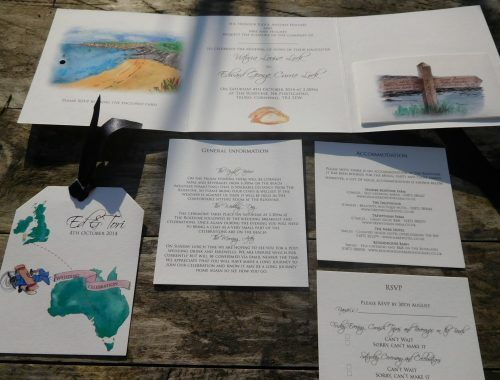 The invite and insert cards are all designed as one, to complement each other visually. 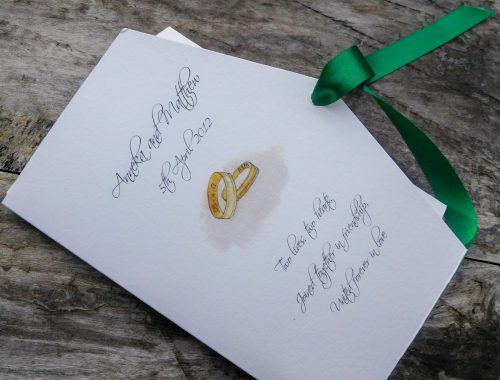 The finished card often looks best secured together with a ribbon bow.